Do you ever get to the end of an opera and wonder to yourself: "Huh ... I wonder what happens after the unhappily-ever-after ending?" 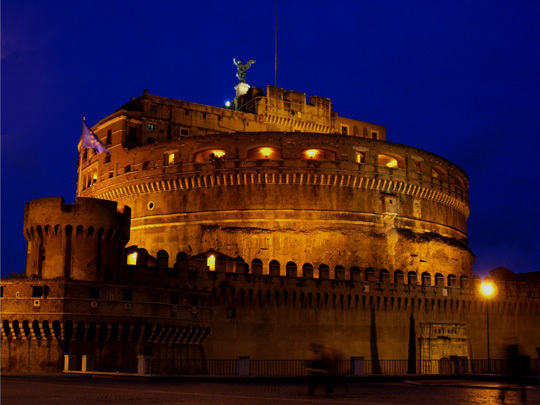 For example: when Tosca realizes that the gunshot, which was meant to be fake, actually kills her beloved Cavaradossi she dramatically runs to the edge of the Castel Sant'Angelo to get away from the guards. She then shrieks "O Scarpia, avanti a Dio!" and jumps. We've all seen it ... and if you haven't, *shame* on you. Now, if she landed in the courtyard - or the fourth floor balcony, for that matter - she likely survived. Did she get away? Did she spend the rest of her life on the run? Was she taken into custody for murdering Scarpia? What would prison have been like for the Prima Donna? If any of you have seen me on my daily commutes from Brooklyn into Manhattan, you've seen me intently, and ferociously, reading through this book. Yes, I was the guy on the train who you had to repeatedly say "Excuse me" to because I was so engrossed in this novel that I didn't hear you the first four times you asked. Incidentally, I'd like to take this opportunity to publicly apologize to the lady with the screaming toddler. If you read this book, ma'am, you'd understand where my brain was when you needed to get off the train. Sorry. The culprit causing my involuntary thoughtlessness - which, by the way, was being held in my hands via the white-knuckled death grip - was Butterfly's Child: A Novel. 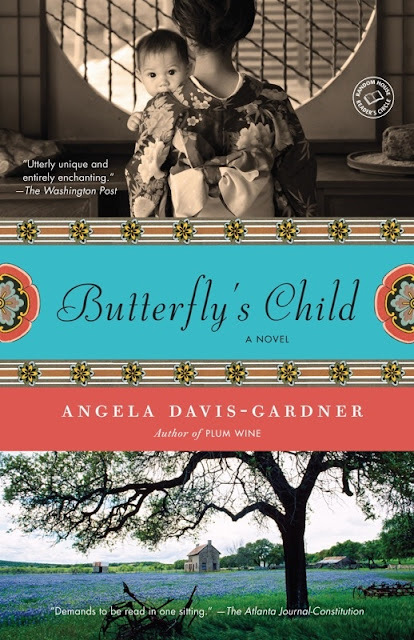 Written by Angela Davis-Gardner and recently released in paperback, Butterfly's Child follows Benji Pinkerton, the son of Lt. B.F. Pinkerton and the geisha, Cio-Cio-San ... also known as: Madame Butterfly. I don't want to give too much away about this artful, incisive and enthralling tale that, on its own legs, could prove to be a psychologically riveting opera. But, I will say this: Butterfly's Child offers an abundance of plot twists that leave you speechless - mouth agape. Starting with what we see at the end of Puccini's opera - the death of Butterfly (see below) - this book truly envelopes you from the heart-wrenching outset when a 3-year-old Benji Pinkerton is extricated from his life in Nagasaki following the tragic event. Taken to the Pinkerton Family farm in Illinois, Benji's true identity is concealed, forcing him to live as a foreign-born orphan might ... relegated to a life as an outsider - not just in the community of Palm River, Illinois - but, even in his own family. Plum River, Illinois. There is much commotion and merry-making these days in our community as Lt. Frank Pinkerton (son of Elmer, who died last year) and his wife, Katherine, have settled in at the Pinkerton farm. As if the presence of the refined Mrs. Pinkerton - the daughter of Galena's late missionary pastor, the Reverence Timothy Lewis - were not excitement enough, this Christian couple has brought with them, to rear as nearly their own as possible, a Japanese orphan boy rescued from the lowly society of Nagasaky, Japan. In his sermon Sunday last, Pastor Marshall Pollock called upon his flock to excite in their breasts all the human compassion of which they are capable and to extend every possible kindness and instruction to this heathen child in our midst. Welcome to life in the mid-west circa 1895. The truth about Benji's identity eventually surfaces in Palm River. When it does, it shatters an already fragile family and sends Benji on a vision quest from Illinois to the Japanese settlements in Denver and San Francisco ... then, across the Pacific to Nagasaki, where he uncovers the shocking, core-rattling truth surrounding the death of the geisha called Cio-Cio ... Butterfly. If you are looking for superb page-turner to take with you to the park this spring, you must pick up Butterfly's Child: A Novel - Trust me, Friends: you'll be so very glad you did.